If you are serious about good health, then learn more about kidney cleanses. Find out why you should perform a kidney cleanse, what juices to drink, what foods to avoid, and what foods can help eliminate toxins and waste from your kidneys. Before getting into the details of a kidney cleanse, it should be noted that some people may need to consult their professional healthcare provider before starting a kidney cleanse. If you have any existing kidney problems or medical conditions that require a special diet, then talk to your doctor first. When starting the kidney cleanse, you may want to start slowly. 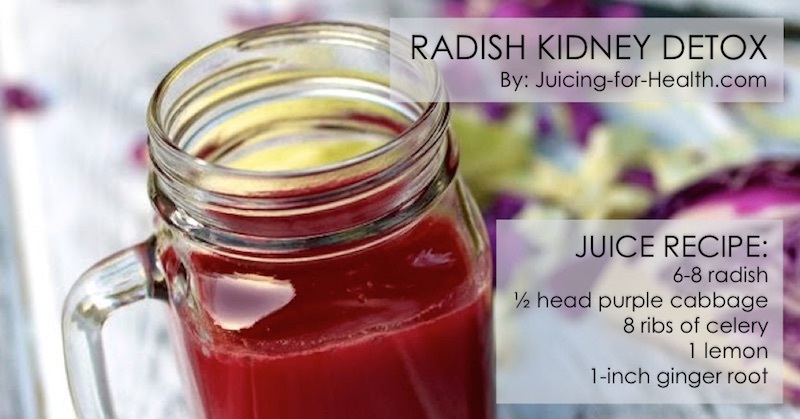 Test the ingredients in your kidney flush by replacing one meal at a time with a juice. So why should you perform a kidney cleanse? There is a multitude of reasons to flush toxins and wastes from your body. From reducing bloating to preventing kidney infections, a kidney detox is a simple way to promote better health. Here are a few reasons for following a kidney cleanse for several days. As your kidneys become backed up with toxins and waste, you are more likely to experience bloating as their function gets impaired. When your kidneys are not in good shape you are more likely to experience fatigue. Your body will begin having difficulty in processing certain foods, which may limit your ability to absorb nutrients and convert food into energy. Waste and toxins in your kidneys could eventually lead to an infection. A good kidney flushing will help to remedy this problem. As your kidneys become clogged with toxins and wastes, you may also notice bladder problems. You could experience frequent or infrequent bladder problems. 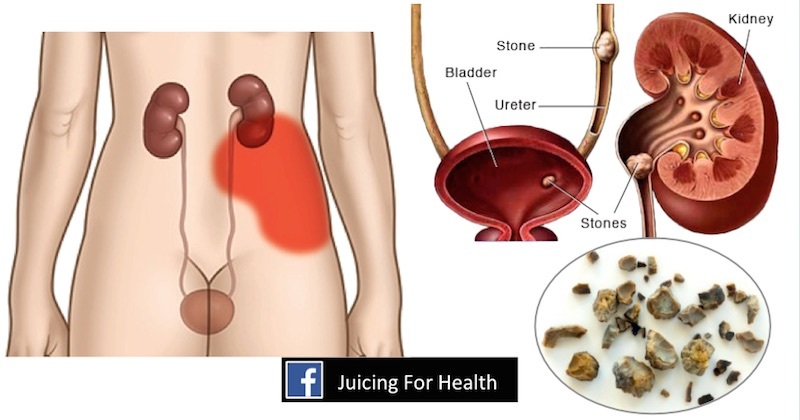 While kidney stones are typically created due to a buildup of fats, cleansing your kidney can help cut down on your chances of developing painful kidney stones. If your kidneys cannot properly filter out toxins from your system, you may experience skin breakouts such as rashes, acne, and eczema. Since your kidneys are part of your digestive process, when they are not functioning properly you are at a higher risk of developing a hormonal imbalance. 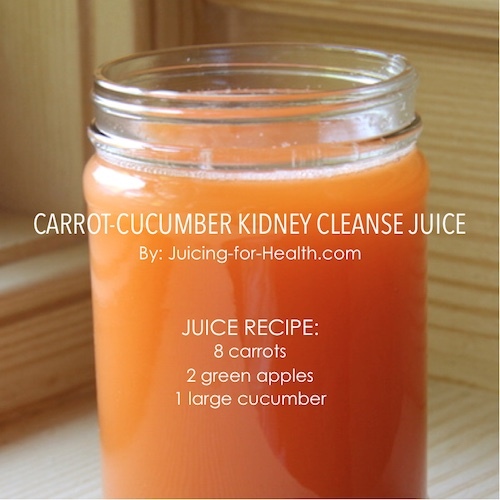 How Can You Perform A Kidney Cleanse? or eat a raw fruit and vegetable diet on days 1 and 5 and fast on juices for days 2, 3 and 4 of the cleanse. You can use a variety of different juices to flush your kidney. By choosing the right fruits and vegetables, they are beneficial for detoxifying your kidneys. The following four juice recipes include an excellent combination of produce that are known to help cleanse your kidneys. Related reading: Complete detox according to this important detox sequence. Use organic produce whenever possible. Wash them before using. Put all the ingredients through your juicer and serve. This should make one portion which can act as a meal replacement during your kidney cleanse. Multiply the quantity if you want to make more for a few meal replacements. This recipe makes one portion. Multiply the quantity to make more for later. Wash the ingredients and put them through your juicer. This is a light juice, which may be more suitable for a midday meal replacement, as opposed to a breakfast meal replacement. When juicing watermelon, always include the rind! It is one of the best things to break down any stone calcification in the kidneys. Cut the watermelon into chunks and juice/blend them with a lime (peeled). Lemon will help your body absorb the nutrients 5x better! Do not be afraid to drink watermelon juice in jumbo glasses if you can handle it as it cleanses the kidneys really effectively. You may want to start each day of your kidney cleanse with this drink. The combination of lemon, lime, and cayenne pepper will help clear your detoxification organs. Juice the lemon and lime and then mix into 16-ounces of water with raw honey to taste. Add a dash of cayenne pepper to taste. What Food Should You Eat To Cleanse Your Kidney? In addition to using the recipes provided above, there are certain foods that you may want to include in your diet to help cleanse your kidney. The following items are known to help flush toxins and clear wastes from your kidneys and digestive system. Try including more of these foods in your diet. Celeriac is the root of celery that has a rather unattractive appearance but is an excellent food for kidney health. It provides an abundance of nutrients that are beneficial for flushing your kidneys. 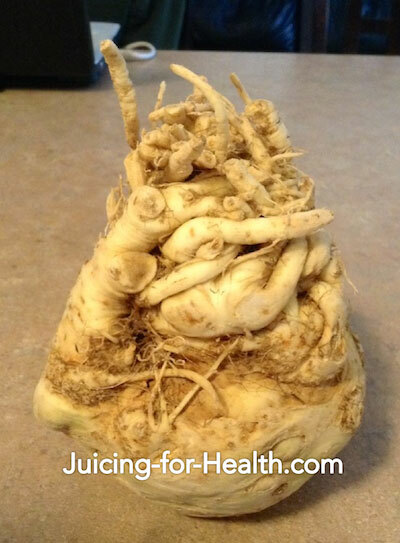 You can make a nutritious kidney-cleansing broth using celeriac. The diuretic and alkaline properties of asparagus help prevent or dissolve kidney stones. It helps break up oxalic acid crystals formed in the kidneys. 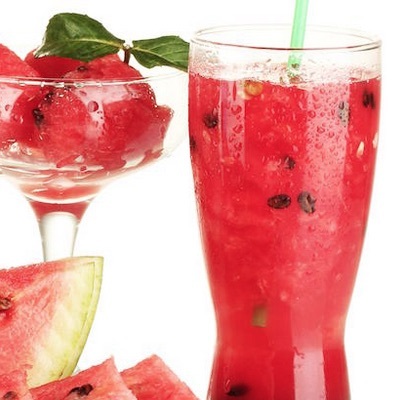 Watermelon is primarily comprised of water, making it a natural diuretic. Eat watermelon in addition of drinking the juice. When juicing watermelon, don’t throw away the rind as the rind is very effective for breaking down kidney stones, if any. Adding foods that boost your digestive system and aid the process of moving food through your system is one of the key components of performing a kidney cleanse. Almost every kidney cleanse juice that you find will contain lemon juice. Lemon juice is known to help prevent the formation of kidney stones and can help break down toxins and waste in your kidneys. If you have the urge to pee very frequently throughout the day and night, even when there’s only little pee, then adding lemon to your juices and water will lessen the frequency of bathroom trips. No kidney cleanse would be complete without herbs and spices. Ginger and turmeric are a couple of the most powerful spices. Both spices contain powerful antioxidants that can assist the function of your kidneys. 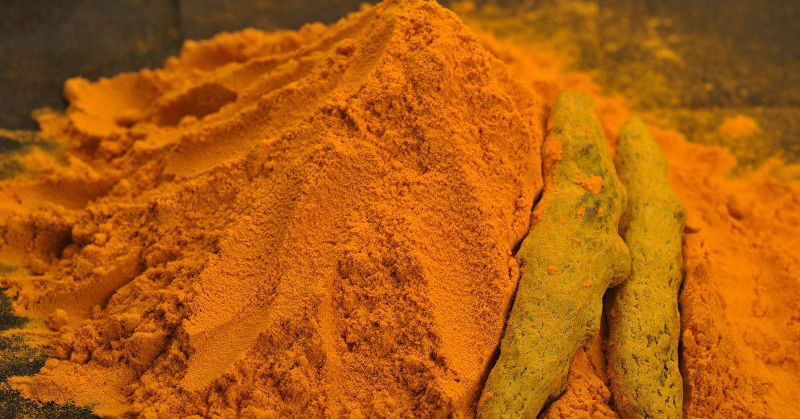 Turmeric can also reduce inflammation and prevent kidney infections. Other herbs and spices to consider include dandelion leaves and nettle. Cleansing your kidneys is a simple way to prevent bloating and other signs of kidney trouble. Consider using the recipes provided above or look for other juice recipes that include some of the foods and spices listed.